A contributor for a small paper in Alberta, Canada says last summer he and his son saw a large triangular object outside of their home in Red Deer. In his article, he also notes recent sightings throughout the world and first-hand accounts from others who have told them about their strange encounters. Tim Lasiuta is a writer, editor, and author. His books include biographies and fiction, and he is a regular contributor to the Innisfail Province newspaper. Lasiuta recently wrote an opinion piece about UFOs for the Innisfail Province in which he recounts his own UFO sighting. They could not hear any sound as the object moved up rapidly though the clouds. Lasiuta ran inside to get a camera, and says when returned, which he estimates was less than 20 seconds later, it had moved 15 degrees upward. It quickly continued to rise straight up. It moved too quickly for Lasiuta to get a picture. He also notes the many recent sightings that have been in the news. The closest being the video of an object shooting through the clouds in a news video from West Kelowna. Other recent sightings range from Chile to Paris. “The photo taken is considered one of the best on record” Really? I have seen far, far better photographs taken of gulls. That is what the ‘UFO’ is to the left of TDC. 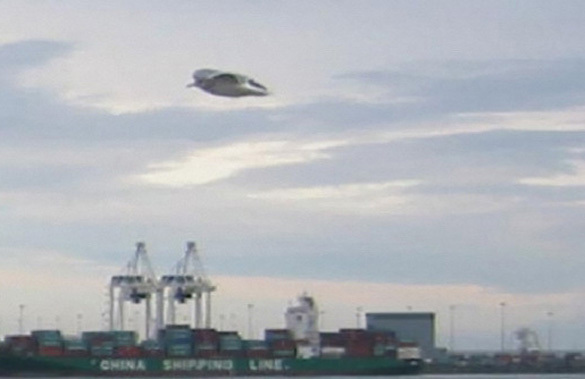 The ‘object’ is closer than the shipping yard – a fact easily revealed if you play around with convolution. Once you know that you know it is likely smaller than you might first imagine. Now try playing with the lighting levels around the object – don’t change individual pixels just bulk levels. If you stretch the histogram so the sky is white and the objects features much brighter – you will see it is a gull. It is flying right to left – the stick feature is its beak. When you play with the levels you will find its left eye (behind the beak). The dark patch above and behind that is the underside of its arched left wing, the grey patch in front and above that is the top of its right wing. IFO! This gull photo is from 2005 and there is no photo of the one seen last summer. Please let Tim know that the TR3B is contracted by the oil and gas industry and is used to monitor the Joffre plant. A few years ago the industry offered the RCMP $1 million to keep their facilities safe but have obviously moved on to more advanced technology to monitor the ethanol plant. Check out the Raytheon plant in Calgary and also the Cold Lake/Primrose Lake Air Weapons Range for more information. Tell Tim they also use a drone at the loonie bin in Ponoka and don’t forget the highway 12 drug drone which usually appears around 11 pm. I take it that Philip, Gonzoman and Sheila are non-believers in UFO’s. That is your right and your right to voice your opinions…which is just that, your opinion. I will also add that you will be talking your face blue trying to convince people that have actually seen them, that they don’t exist. Sorry, but that is not a gull but I am sure if you fool around with any photo you could find anything you want to see and the location is wrong. 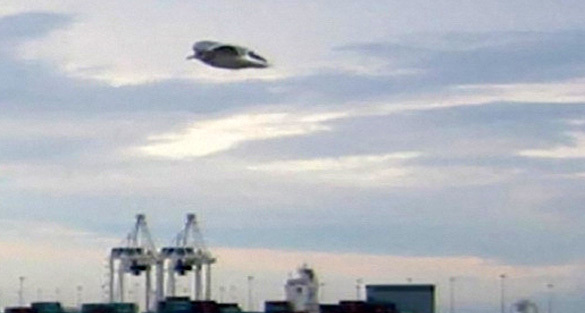 It is not on Vancouver Island, the photo was taken at British Columbia Ferry’s Tsawwassen Terminal looking over at Robert’s Bank were frieghters arrive to unload containers etc. It is not a plant at all. I worked at B.C. Ferries for over 18 years and know the area very well.